A knuckle-sized frog hopped straight by the woodpile. A butterfly lit on a thistle. Chickadees flocked around the bird feeder, making off with safflower seeds. A long day, reading a long novel. Excitement: Oliver thundering from the porch toward the rabbit he’ll never catch. It grew cool, deep shadows stretched across the grass. Then there were dinner pancakes, made with fresh-laid eggs from the good neighbor’s coop and local blueberries, soaked in a friend’s home-tapped maple syrup. 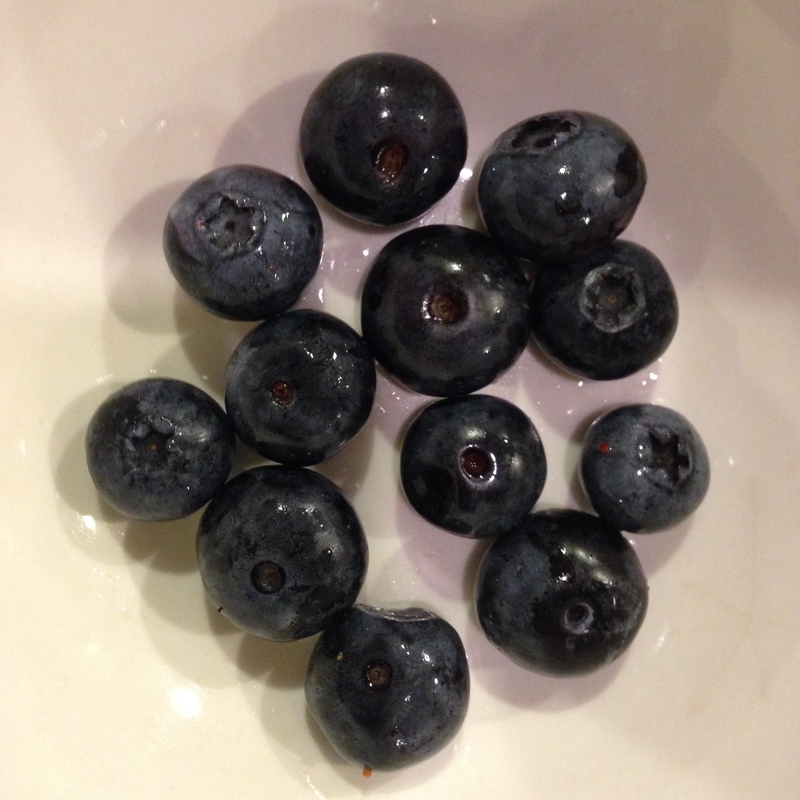 Do your blueberries have dark skins and light colored pulp? Or are they dark all the way through? They look delicious, no matter what.